Many iwi (Maori tribes) trace their ancestry back to a legendary explorer Kupe who discovered New Zealand. Northland iwi believe Kupe first made landfall on Hokianga Harbour. If you visit Hokianga, we recommend you approach from the south, as you’ll be able to drive through the famous Waipoua Forest where you’ll find New Zealand’s largest kauri tree, Tane Mahuta. 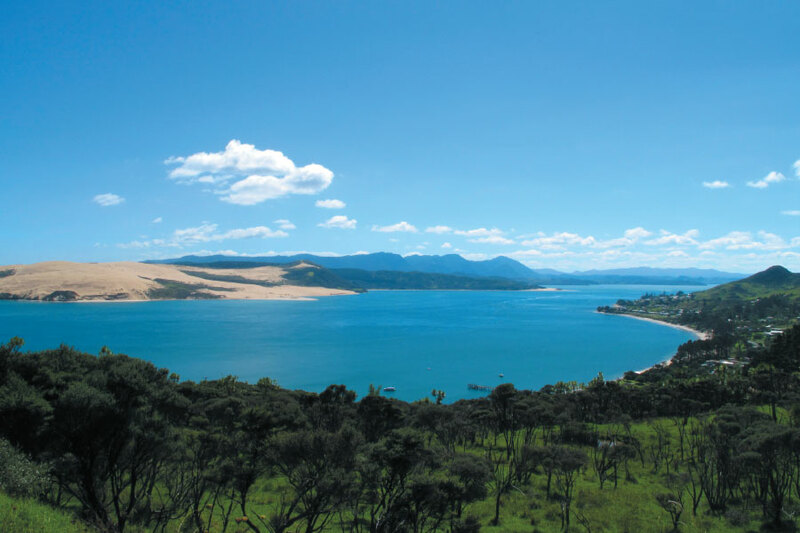 The stunning sight of the Hokianga Harbour will dazzle you as you leave Waipoua Forest. You’ll see huge white sand dunes on the northern side and the twin beach towns of Omapere and Opononi on the southern side.